As a cycling advocate in the city of Tokyo I feel a sense of pride and happiness every time I notice elderly people getting around by bicycle. I love the fact that cycling is such an integral part of peoples lifestyles and that the bicycle plays such an important role in making life easier for everyone, most of all the elderly. Elderly Japanese who have relied on the bicycle as one of the main forms of transport in their daily lives are reaping a host of rewards some well documented and well known, others more obscure and less tangible. By cycling every day, to do the shopping, visit friends, or to the station to venture even further a field, elderly Japanese cyclists are adding years to their lives without even trying because cycling brings with it innumerable health benefits. Cycling is known to increase cardiovascular fitness, muscle strength, flexibility, it reduces body fat, strengthens bones, improves joint mobility and prevents disease. More specific to the elderly, cycling improves strength, balance and coordination, which helps in preventing falls and fractures. Cycling maintains healthy levels of blood pressure, and being low impact it is the perfect form of exercise for those suffering from osteoarthritis. Recent studies have shown that regular cycling keeps you younger with researchers from King’s College London and the University of Birmingham discovering that cyclists over the age of 55 "had levels of physiological function that would place them at a much younger age compared to the general population." Elderly people who cycle also reap great mental health benefits. Cycling reduces depression, stress and anxiety, not only due to the effects of the exercise, but also from the simple pleasure riding a bicycle can bring. 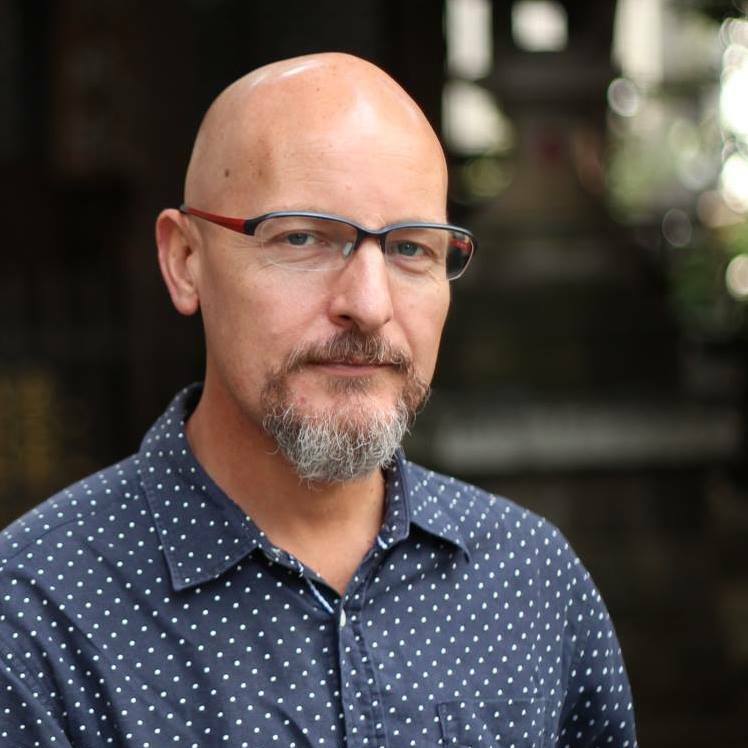 A recent study by Professor Art Kramer, director of the Beckman Institute for Advanced Science and Technology at the University of Illinois, concluded that walking or cycling regularly for between six months to a year can improve memory and problem solving skills in the elderly by between 15 and 20 per cent. The simple act of walking or cycling for up to 45 minutes each day has been shown to increase cognitive function in children and the elderly while regular exercise is seen as essential to combat memory loss in old age. 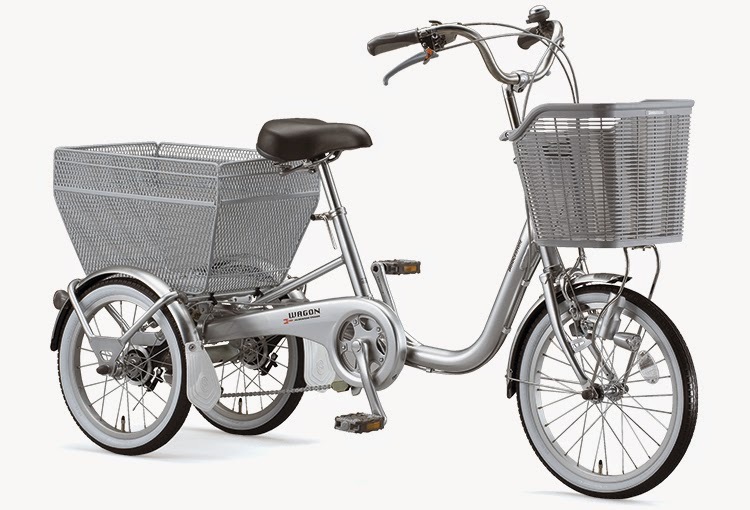 Japanese bicycle manufacturer Bridgestone make a range of bicycles for the senior market. Closely tied to maintaining the mental health of elderly Japanese cyclists are the numerous social benefits that utilitarian cycling brings. Elderly people who cycle are much less likely to be housebound than their non-cycling counterparts, being less dependant on caregivers for transport gives the elderly their independence, the ability to go where they like whenever they like. Tokyo's small self contained neighbourhoods ensure everything an elderly resident needs for daily life is just a short walk or ride away allowing them to maintain control over their lives, the powerful positive mental benefit of which should not be overlooked. Being able to escape the confines of their homes and travel afar by bicycle presents the elderly with numerous opportunities for social interaction they would otherwise not be exposed to, all of which keep the mind healthy. Communities in which large numbers of people walk or cycle present even more benefits to the elderly. Pedestrians and cyclists are more likely to assist an elderly person who is in trouble than motorists who choose to simply pass on by detached from their surroundings. Something as simple as a smile, or greeting from a stranger on the street can have an unmeasurable positive effect on a persons well being. Also communities with high levels of street life tend to look out for other members of their community providing the elderly with an extra level of unobtrusive care. 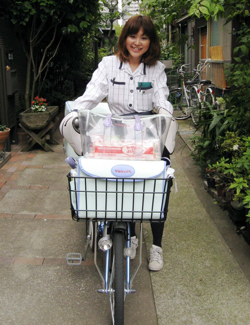 Japan's Yakult, a maker of probiotic drinks, employ over 41,000 women to deliver their products to homes and offices by bicycle each day. As a large percentage of their customers are the elderly living alone, the Yakult ladies perform another important service for the community, that of looking in on the elderly on a regular basis, an important job no government department has been tasked with, nor wants responsibility for. The Yakult ladies on their bicycles know intimate details of the health and well being of their elderly customers, assist them with small tasks, advise them on day to day matters, and perform countless other (unpaid) services unrelated to the company's core business. As Japan's population ages many municipalities have been tackling the problem of how to keep the elderly engaged with society, creating "Silver Centres" that work to keep the elderly contributing to their local communities in return giving them important social interactions which increase their quality of life. One such program is the Suginami Green Cycle initiative in which elderly residents gather regularly to repair bicycles that have been collected from around the city for resale. For many of Japan's elderly men who slaved unrelentingly through their work years this is the first opportunity they've had to establish real and lasting friendships. It is unquestionable that cycling improves the health and quality of life of the elderly in Japan and this must be supported. Urban designers must work to ensure that the roads, paths and even sidewalks are safe for the elderly to cycle. They must also continue to plan communities in which all life's necessities including supermarkets, schools, community centres, hospitals and clinics are all within easy walking and cycling distance to encourage active modes of transport not only among the elderly, but for us all. Bridgestone Tricycle for elderly shoppers. Businesses must provide convenient parking within short walking distances of their stores. Designers of residences for the elderly must provide easily accessible, secure undercover parking with gentle slopes and handrails. 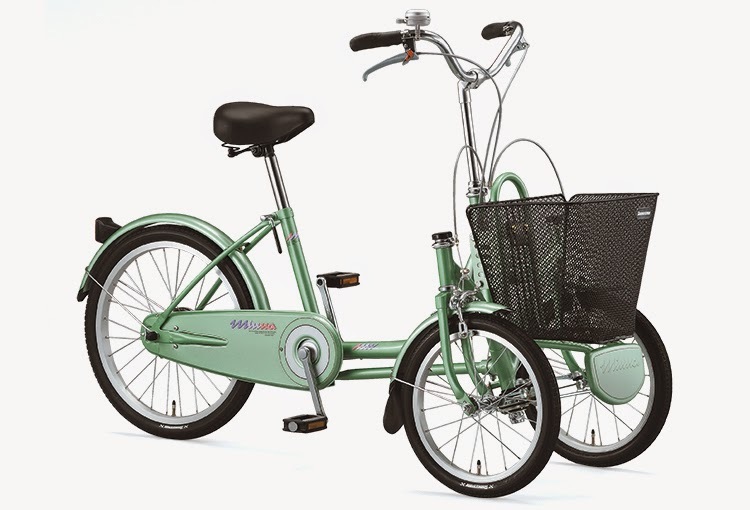 Bicycle manufacturers must continue to innovate and develop bicycles targeted towards the elderly market, stable bicycles with low centres of gravity, tricycles with baskets capable of holding a days grocery shopping, and electric assist bicycles will go a long way to ensuring the elderly of Japan continue to cycle and as a result remain both physically and mentally healthy and remain engaged with their communities. Economically active and healthy cycling seniors place less of a burden on the national health system and as a result, the Government of Japan should be encouraging and supporting everyday cycling on the national level as they've been reaping its rewards for decades while contributing next to nothing to safe cycling infrastructure for cyclists both young and old. In conclusion, elderly Japanese cyclists have enjoyed improved mental and physical health through a lifetime of every day or utilitarian cycling and it is these health benefits that keep them cycling later into their lives, only to reap even greater health rewards. If you ask the people of Japan why they cycle every day very few would answer that it is for health, environmental, or economic benefits as most cycle because it is the most convenient form of transport available. Therefore we need to raise awareness of the ALL benefits of cycling among the people and policymakers of Japan so they realize cycling as a practice that generally goes unnoticed is providing HUGE benefits for all levels of society and that it must be supported and encouraged.